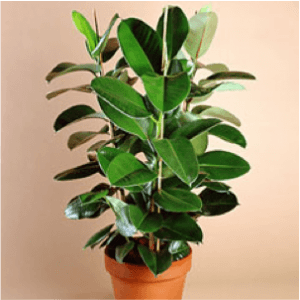 The Rubber Tree is native to the tropical rain forests of India, Malaysia and South America. 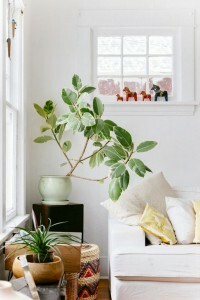 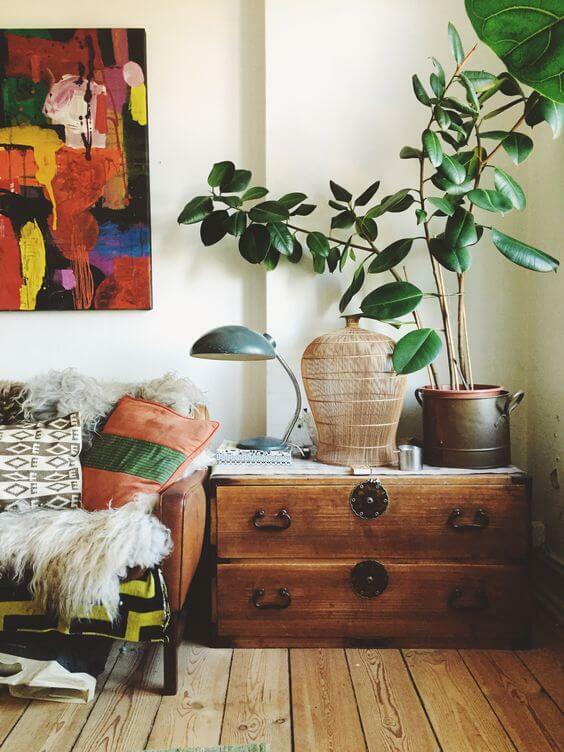 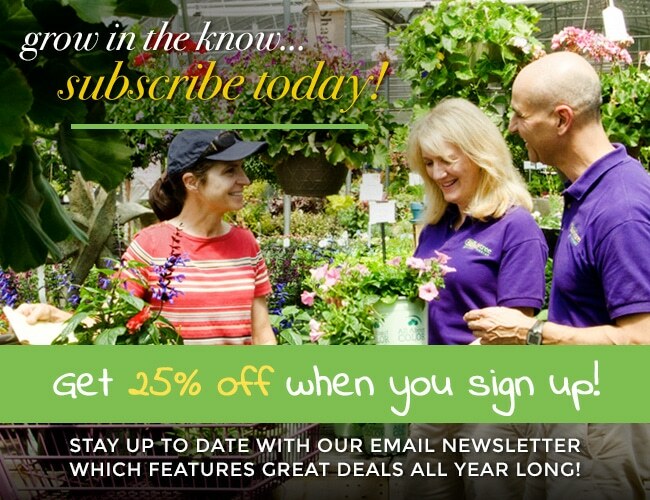 As a houseplant, it will grow stiff dark green and burgundy leaves on a strong tall trunk. 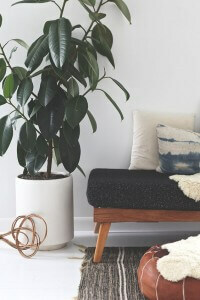 Rubber Trees like light, so if you keep them in a darker area, they will grow leggy in their quest for sunshine!